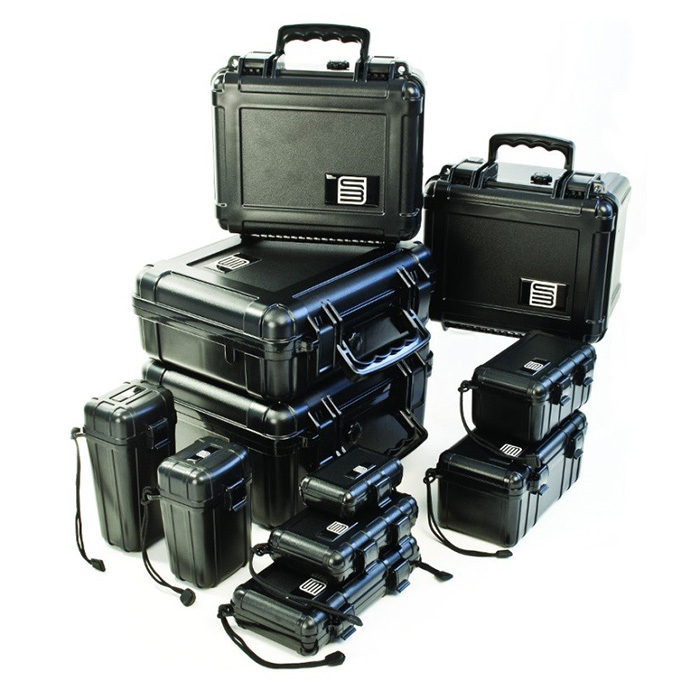 S3 cases began producing their small but rugged injection molded cases in 2003. The owner and former partner in the popular Otter Products case company, maker of rugged iPhone cases, saw a need for small hard sided cases that was not currently being addressed in this industry. Being a product protection fanatic, the S3 line of Extreme Cases was born! Ameripack has been an authorized distributor of the S3 product line for many years. S3 Cases come in a range of 11 different sizes – all developed for small portable product protection. These cases are available in a variety of colors, including the popular clear lid products. Durable and strong, these cases are molded from ABS plastic which allows a large range of customization to them that is not found in standard, polypropylene molded cases. Whether you need to protect your camera, your cellphone, or you are incorporating a remote control for your UAV into a protective case, S3 cases with custom designs by Ameripack is your ultimate choice.